Rice Lake WI, July 16 – Ashley Wahlstrom was less than one lap away from winning her first ever Street Stock feature race Saturday night at the Rice Lake Speedway. However, on the final lap Jay Kesan made a great three wide move down the back straightaway on the final trip around the oval and drove into the lead as he won a thrilling main event to highlight the racing program at the Rice Lake Speedway. Other feature winners on the Saturday night program included Mike Anderson, Curt Myers, Ryan Viltz and Jason Havel. The speedway will now take this coming Saturday off while they prepare for back to back huge events in the coming ten days. The Street Stock feature race was a barn burner from start to finish with the top eight cars running in a tight pack and swapping positions and lanes on the track on an almost continuous basis. Wahlstrom had taken the lead right from the start as she started on the pole and held off the early challenges of rookie driver Shawn Amundson. Scott Clark made a strong move to find an opening on the low side of the track and he pulled up beside Amundson as both looked for an opening past Wahlstrom. Ashley was running very strong and smooth as while there was continuous action behind her, she continued to hold the groove on the low side and keep everyone behind her. Kesan and Cody Kummer eventually worked their way to the outside line and started to move up with Kesan especially having success as he fought his way up to third when the first yellow flew with six laps complete when Kolby Kiehl got turned around. Wahlstrom continued to lead with Clark and Kesan now searching for a route past her. The wild jockeying for position continued until the second and final yellow was triggered when Kevin Bogdanovic got turned around in turn three. The last five laps of the race was priceless as Kummer now found himself on the outside lane and he made the most serious challenge that Wahlstrom had seen. Cody was able to pull up beside Wahlstrom and they raced side by side for the lead. When Wahlstrom got just a bit loose off turn four, Kummer edged past into the lead but Wahlstrom fought back and as they took the white flag, Ashley was in front by a nose. Coming out of turn two on the final lap, Kesan made a bold move to the low side and the leaders raced three wide down the back chute. Kesan was able to edge into the lead with Kummer also moving as Wahlstrom found herself to be the meat in the sandwich. Kummer made a hard charge off the final corner and closed on Kesan, but Jay held on by a bumper to win a most thrilling Street Stock feature. Kummer finished a very close second with Kiehl making a final corner pass as Wahlstrom was shuffled from first to fourth on the final lap. Bogdanovic completed the top five. The win was Kesan's second of the year at Rice Lake. Anderson has been on a roll lately and he did nothing to dispel that notion as he won a nonstop Modified feature. Steve Hallquist took the early lead after a brief battle with Scott Miller while Anderson, Kevin Adams and Dave Baxter all began to work their way to the front. Anderson got the best of traffic and as Adams, Baxter, Miller and Mark Hessler fought for position, Anderson was closing on leader Hallquist. It didn't take Anderson long to make the winning pass and once in front, he began to pull away from the field. Adams had moved to the third spot and he began a long battle for second with Hallquist. They raced side by side for several laps before Adams completed the pass but by that time , Anderson was long gone. Mike motored on for an easy win, his third of the season here as he continued to build on his track point lead. Miller had his best run of the season as he finished fourth ahead of Baxter. It took Curt Myers ten laps to find the necessary openings to get into the lead in the Super Stock feature, but once he finally moved into the lead, there was no catching him as he earned his fifth Super Stock feature win of the year. The first ten laps of the race featured a great battle for the lead as Don Muzzy and Adam Soltis went wheel to wheel for the top spot. Back and forth they jockeyed with each taking his turn as the race leader. Meanwhile, Myers gradually worked his way up after starting seventh on the grid and after he caught the lead duo, the fun began. Myers looked high and low but the other two battling for the lead left no room for him and he had to be patient as they worked to settle out who would take the lead. At the halfway point, Soltis finally cleared Muzzy and took over the top spot. Myers then quickly moved to the low side of the track and swept past Soltis to take over the lead. Once in front, Myers gradually pulled away from the field as Soltis maintained the second spot. Eric Olson finally broke away from traffic and started to climb toward the front, but with the race remaining under the green following two yellows on the first lap, there was just not time to catch the front pack. Myers motored on for another win while Soltis and Muzzy both earned their best finishes of the year. Olson, the track point leader, settled for fourth with Simon Wahlstrom completing the top five. For the third straight week, the Midwest Modifieds had a rocky go of it in their main event. In fact, the six yellows in their feature race more than exceeded the total of the other four features combined. Most shocking was the fact that before two laps could be completed, two of the most competent drivers in the class had both spun and triggered yellows. The green flag had no more than dropped when Shane Halopka, starting in the second row, spun by himself and went to the tail of the field. The second attempt found pole sitter Denny Cutsforth spin in turn three and send the field scrambling. The next brief burst of racing was more expensive as Michael Truscott, charging up on the outside toward the front of the field, lost control in turn four and collected a group of cars with four being eliminated from the rest of the contest. When everyone settled down and racing resumed, the top five cars put on a good battle for position. Ryan Viltz found himself in the lead and while he pulled out to a small lead, there was a fierce battle for position going on behind him. Austin Ellis maintained second but George Dalbeck was putting pressure on him using the higher side of the track and very nearly made the move into second with Travis Anderson and Bryce Johnson following. Halopka, who was involved in two of the accidents, was charging back to the front in his battered looking ride and he got past Johnson to move back into the top five. Two more relatively minor yellows set up a two lap sprint to the finish and while the continued to be action behind him, Viltz drove on smoothly for his third feature win of the year here, tops in the class for the current point leader. Dalbeck nearly used the high side to get into second but Ellis held him off for the runner up honors while Anderson and Halopka completed the top five. It was smooth sailing for Havel as he recorded his track leading sixth feature race of the year, dominating the Pure Stock finale. After a first lap yellow slowed the action, Havel used the outside pole to drive into the lead immediately and from there on, he just pulled away from the field. Tucker Quinn, after a heat race mechanical issue, made a nice drive in the feature as he raced through most of the field to take the second spot. He was able to keep Havel in sight, but couldn't offer any serious challenge. Joel Hinrichs, Bob Thompson and James Clausen completed the top five. 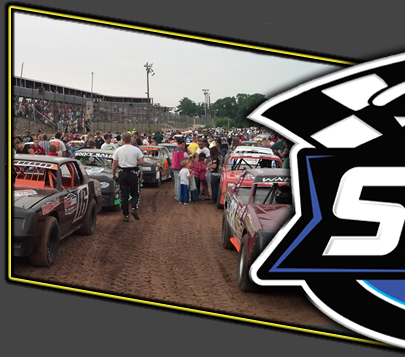 There will be no racing this coming Saturday, July 23rd as the speedway takes the night off for the Barron County Fair. It also gives the track and the racing teams a chance to prepare for one of the biggest periods in the entire racing season. On Saturday, July 30th, all five classes will be in action and will be joined by the only appearance of the Late Models in 2016. The One Main Financial WISSOTA Challenge Series will be the main attraction as many of the top Late Model drivers in WISSOTA will be on hand to battle in out for the $2,000 top prize. Jeff Provinzino from Hibbing MN is the current point leader of the series with Jake Redetzke, Lance Matthees and Jeff Wildung close behind in the standings. A full field of Late Models is anticipated on this night. Then, just three days later on Tuesday, August 2nd, the twenty first annual Street Stock “Little Dream” race will be held. Street Stocks from all over the upper Midwest will flock to the Rice Lake Speedway on that night, all hunting the largest purse payoff in WISSOTA racing and one of the largest in the entire country. Last year Jimmy Randall went home with over fourteen thousand dollars and the sky is the limit in 2016. 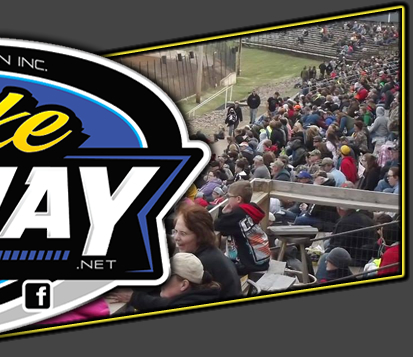 More information is available on both events by checking out the speedway website at www.ricelakespeedway.net. 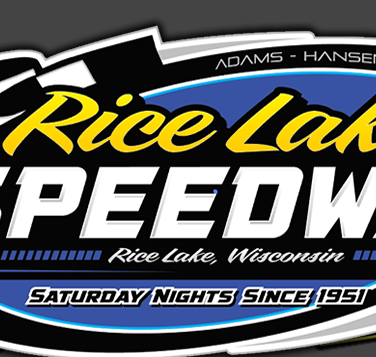 12 lap Feature – Jason Havel(Rice Lake), Tucker Quinn(Ladysmith), Joel Hinrichs(Chetek), Bob Thompson(Cameron), James Clausen(Rice Lake), David Holub(Rice Lake), Rob Holmstrom Jr(Cameron).